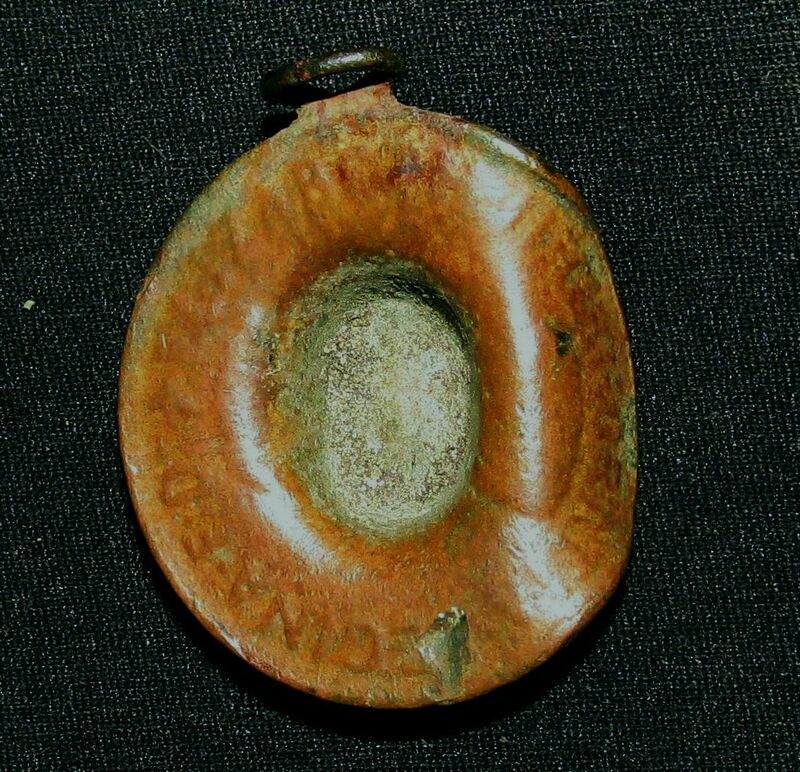 Interesting finds for the month of June include three sterling marked rings ( one was crushed ) and a sterling earring. 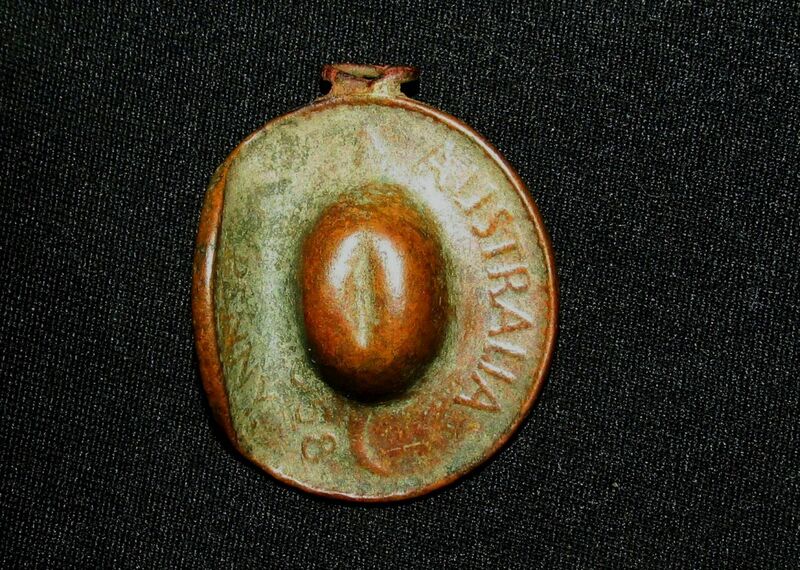 Also, an interesting pendant from Australia was dug on a soccer complex that was resurfaced, with sand and new grass a few years ago. 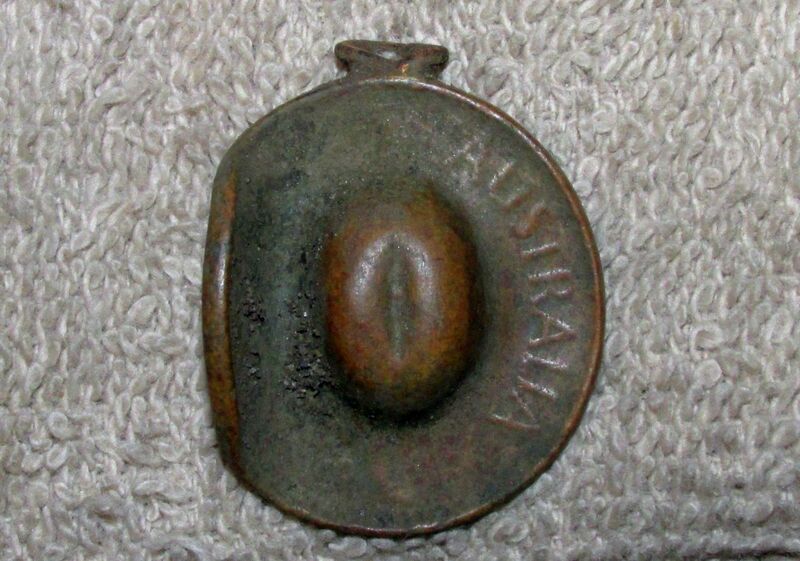 Retrieved from about 7.5 inches, by measurement on my hori hori knife, and Australian large cent, stamped by an unknown artist, into an Aussie style wide brimmed hat with the side tipped up. Date partially visible 58, so it's an 1958 large cent. It was fun to find and research. I've not been able to find another like it. Only one silver coin found for the month.